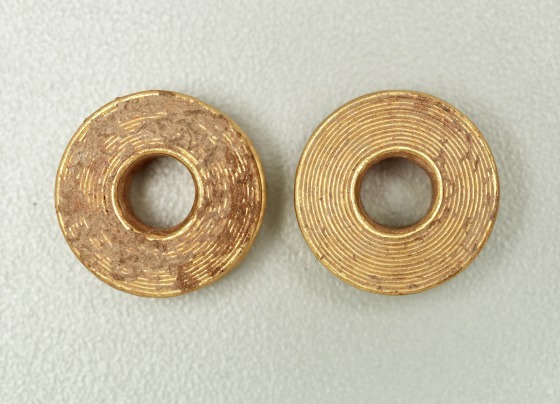 Greek goldwork was not limited to the production of jewelry. Gold vessels of different shapes and sizes are known from temple inventories and from actual finds. The exact purpose of other gold objects is not always clear. 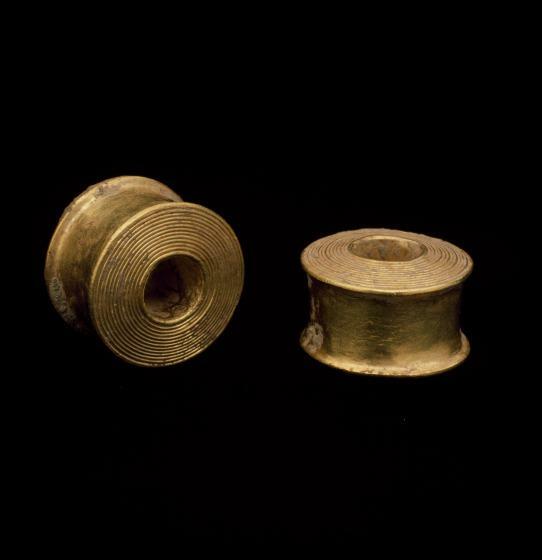 Reels or rattles have been found in the graves of women, and therefore have been interpreted as bobbins or children's toys, but their exact meaning remains unknown. The hollow reels or rattles seen here are in the shape of a large bobbin with an opening in the center. The slightly concave side wall is left undecorated. The top and bottom consist of a series of concentric circles of plain round wire tightly soldered together. Invisible objects inside the hollow body turn the reels into rattles. This type of reel is thought to be a child's toy or a device for winding thread. Examples are found in women's tombs only and always in pairs. 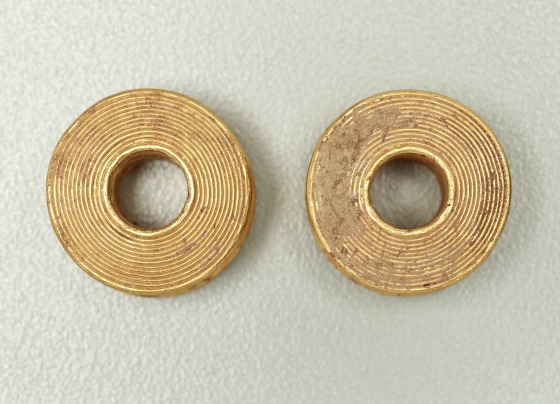 A similar piece found in a grave in Sardis contained twenty-seven gold pellets. Internal bits of material cause these reels to rattle, perhaps as amulets.